Maharashtra Finance Minister Sudhir Mungantiwar, on August 11, was honoured with the – Society Excellence Award 2018 – by Magna Publishing Society and Hothur Foundation in New Delhi. 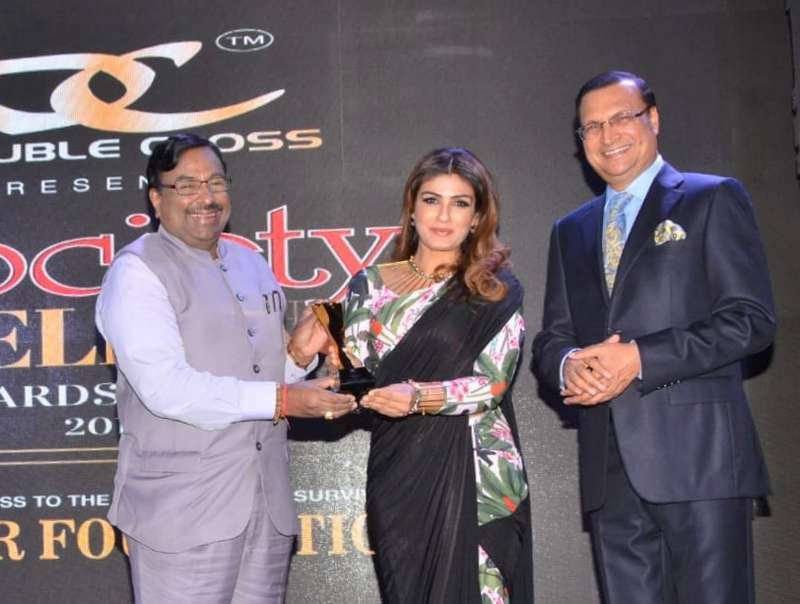 Mungantiwar received the award from senior journalist Rajat Sharma and actress Raveena Tandon. The politician was awarded for his remarkable contribution in political and social fields. At the award function, several other people from the fields of films, sports, business, media, glamour and politics were also awarded.